The residence of the Royal family of Bharatpur, Bharatpur Palace showcases the beautiful blend of Rajput and Mughal architecture. Each ruler of Bharatpur has contributed in the construction of this palace. The palace is exquisitely decorated with patterned floors and convoluted designs. 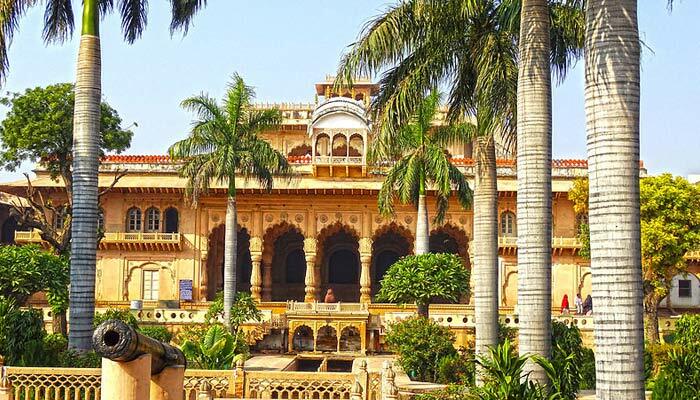 This is a massive palace which is known for its immensely beautiful Mughal and Rajput architectural; designs and construction. The palace is made of complete white marble is dated back to the era of 1857. The palace has been converted into a heritage hotel and people can see the lovely ornate designs and experience the warm hospitality here.